We are a full-service Maryland law firm dedicated to representing our clients during individual and corporate bankruptcies. If you need a Bowie, MD bankruptcy attorney, call us at 301-441-8780 today. 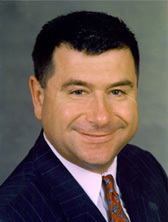 John Douglas Burns is an attorney and Managing Member of The Burns LawFirm, LLC in Greenbelt, Maryland. Mr. Burns' practice emphasizes Chapter 11 business reorganizations and representation of consumer debtors under Chapter 7, 13 and 11. He also works with clients who are interested in addressing their financial issues without the use of bankruptcy protection.